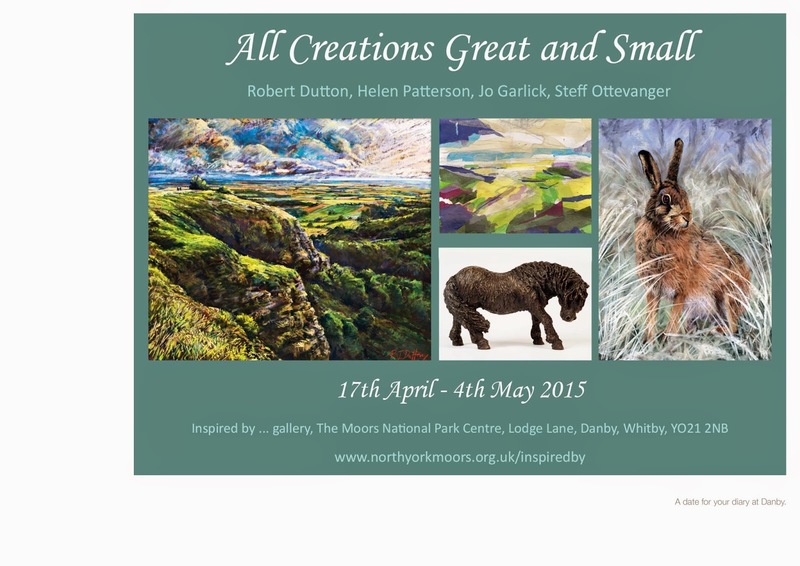 Delighted to see some great coverage for our forthcoming show 'All Creations Great and Small' at the 'Inspired By...Gallery', North York Moors Visitors Centre, at Danby, North Yorkshire, featured in the April edition of the 'Dalesman' this month! Really thrilling to have out work featured with all the other special events happening soon throughout North Yorkshire and beyond. 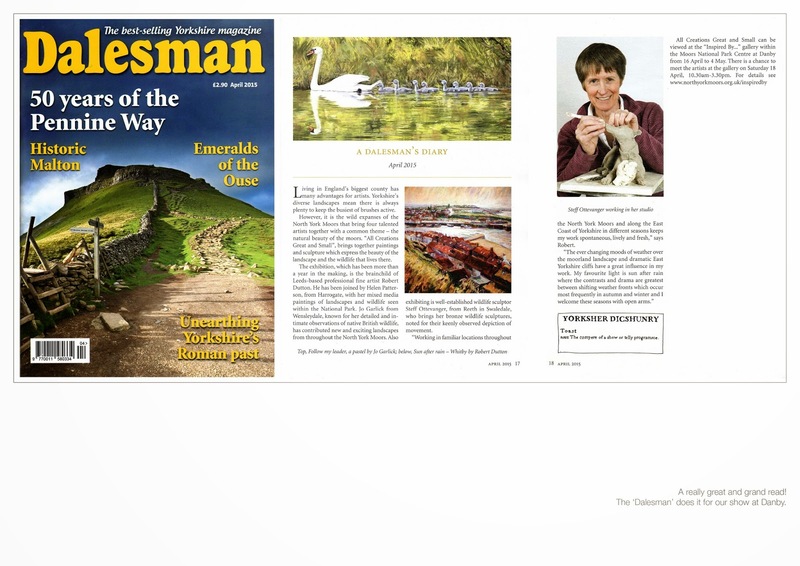 We've had such a positive response to the article already - thank you Dalesman! With only just over 2 weeks to go until we open the doors on Friday 17 April and show our work until 4 May for you at the prestigious 'Inspired By...Gallery' exhibition space, there is still plenty to do! We are putting the last minute touches to our work, getting things framed and having our work delivered, boxed up, packaged and ready for the show! It's going to be a good one! There will be lots to see from thrilling sculptures by Stef, drawings, paintings, cards and prints from all of us with 30 paintings a piece at least! With art demonstration by us on 'meet all the artists' day on Saturday 18 April (10-3pm) all of us, sharing drinks and nibbles with you as you view the show, are bound to entertain you. 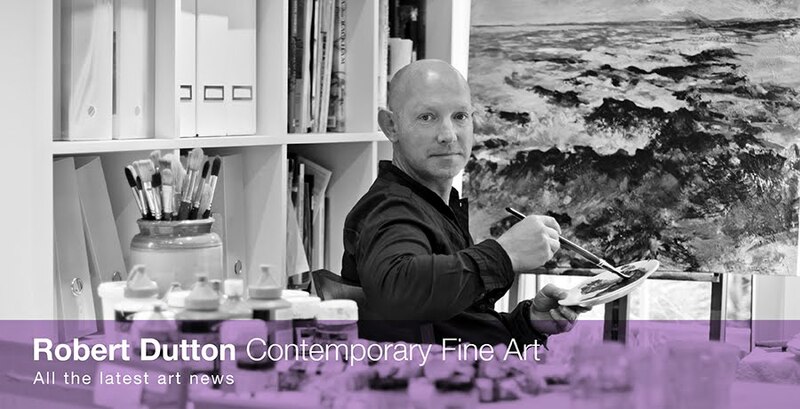 All 'great and small' works of art offering styles to thrill at affordable prices are perfect to help you begin to start an art collection or to inspire you if you are looking for that special 'something' as a stand out piece in it's own right! This part of our 3 week show is fab for all the family to come to, get involved and watch and see! A special day indeed shared with you! We think the North York Moors, the wildlife, the landscape and the people is so special we decided to show you how we felt with all our creativity we share with you. I'm sure you will too once you see the show!